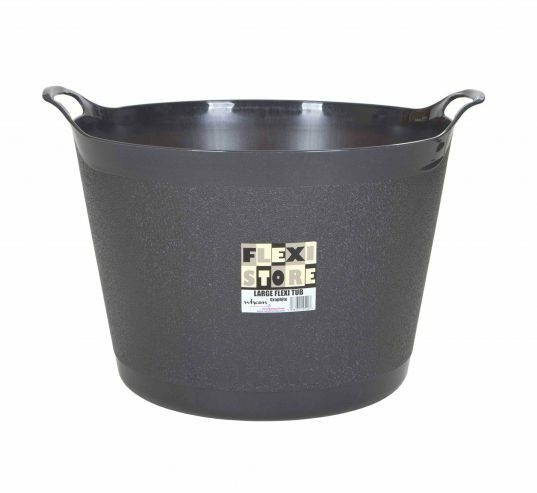 Large 40 litre capacity flexible storage tub. Durable and hardwearing plastic, perfect for all sorts of jobs around the house and garden. Easy to lift with two integrated handles and will easily stack together for compact storage.